Some environmental activists who pressure politicians to halt production of natural gas are acting as “agents of influence” on behalf of the Kremlin and Russian energy interests, according to a retired CIA officer’s analysis of the money trail. “We cannot allow foreign interests to deliberately manipulate our energy industry,” Rep. @LamarSmithTX21 says. 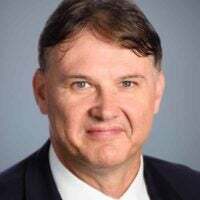 As they lead the charge against two natural gas pipelines, activists allied with a statewide group called Virginia Organizing advance Russia’s geopolitical ambitions at the expense of U.S. energy independence, 29-year CIA veteran Kenneth L. Stiles told The Daily Signal. Two of these local environmental groups “are, without a doubt, agents of influence to Moscow through [a] networking system of shell companies and foundations,” Stiles said. Russia’s incentive in what some see as actual collusion with well-funded, liberal environmental groups in the United States isn’t difficult to understand, Stiles argues, since American natural gas development affects the profitability of Gazprom, a large Russian oil and gas company. With the public comment period open for one of the Virginia pipeline projects, Mountain Valley, local activists’ relationship with Virginia Organizing Inc. and the covert support the larger group receives from Russian President Vladimir Putin’s government deserve greater scrutiny, Stiles said. Stiles singles out Preserve Montgomery County and Friends of Nelson County, two groups affiliated with Charlottesville-based Virginia Organizing, through which all donations to either flow. Under the heading “No Fracked Gas Pipelines,” a section of the website addresses environmental concerns about the process of hydraulic fracturing, widely known as fracking, to reach oil and natural gas. Preserve Montgomery County calls on local residents to become “intervenors” with the Federal Energy Regulatory Commission to block the Mountain Valley Pipeline. Nellysford-based Friends of Nelson County, meanwhile, targets the Atlantic Coast Pipeline. 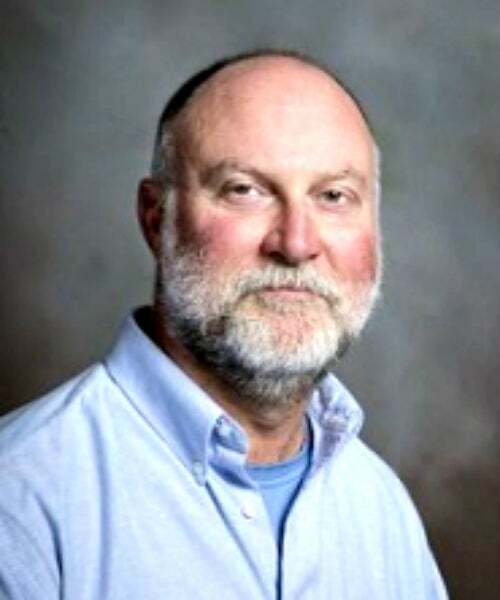 Stiles, 58, who joined Virginia Tech in Blacksburg in 2011 after leaving the CIA, said he sees an unsavory connection between anti-pipeline campaigns in his home state and top Russian officials. He said the Kremlin has a vested interest in undermining a “natural gas revolution” in America that also could free Europe from its reliance on Russian energy. As The Daily Signal previously reported, congressional investigators with the House Committee on Science, Space, and Technology uncovered evidence that Russia is conducting what they call a “propaganda war against fossil fuels” by covertly funding U.S. environmental groups. This covert funding, the investigators argue, is part of an elaborate scheme to turn American public opinion and public policy against fracking techniques that make it possible to extract natural gas. 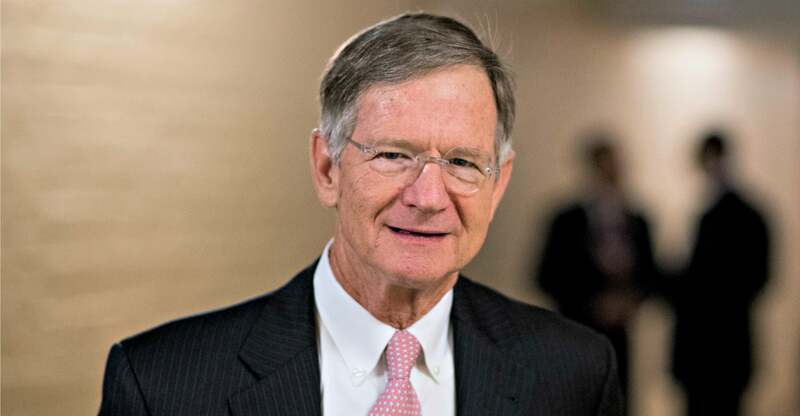 Rep. Lamar Smith, R-Texas, the House committee’s chairman, and Rep. Randy Weber, R-Texas, chairman of its energy subcommittee, sent a letter June 29 to Treasury Secretary Steven Mnuchin asking him to “conduct a full and complete investigation” into the money trail connecting Putin’s government with U.S. environmental activists accused of spreading “disinformation” about fracking and natural gas. Russia and its partners in Bermuda, identified in the letter, could be in violation of federal statutes “pertaining to agents of foreign governments or those lobbying on behalf of domestic and foreign interests,” Smith and Weber wrote to Mnuchin. The Russians “executed a political agenda with little or no paper trail,” the letter explains, by using a Bermuda-based shell company, Klein Ltd., “to funnel tens of millions of dollars” to a San Francisco-based nonprofit called the Sea Change Foundation that focuses on climate change. The letter from the House committee cites a July 2014 report from the Republican staff of the Senate Committee on Environment and Public Works that unpacks the Sea Change Foundation’s donations to other groups. Republicans regained control of the Senate three months later, and with Donald Trump’s election as president, House Republicans now see a way to get traction on the issue. The Treasury Department did not respond to The Daily Signal’s questions about the status of its reply to the House committee’s letter, and whether it would begin an investigation. One challenge for the Treasury Department in tracking the money trail is that Klein Ltd., the shell company in Bermuda that gives to the Sea Change Foundation, isn’t required to disclose the identity of its own donors or their countries of origin, Stiles said. 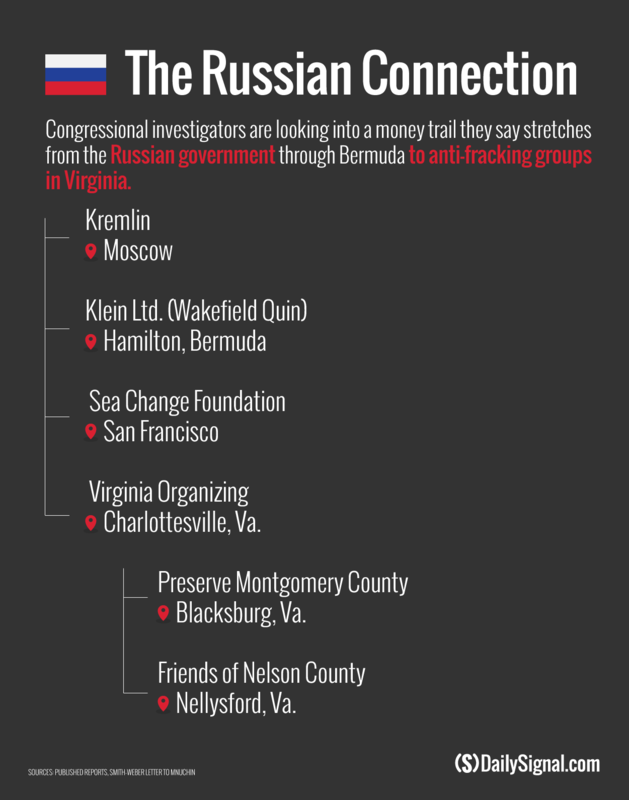 The Russian connection with Klein, and from there to Virginia, comes in the form of Bermuda-based law firm Wakefield Quin, which was instrumental in Klein’s formation in March 2011. The law firm shares the same address with Klein and 20 other companies, congressional investigators determined. Klein contributed a total of $23 million to Sea Change by 2011, according to IRS Form 990 records cited in the House committee’s letter, almost half the contributions it received in that period. Sea Change in turn would give hundreds of thousands of dollars to Virginia Organizing. Virginia Organizing, founded in 1995, figures prominently in the 2014 Senate committee staff report, which says it isn’t a genuine grassroots group because it is funded by foundations from outside the state, such as Sea Change, that donate millions to progressive causes. The Sea Change Foundation gave $300,000 to Virginia Organizing in both 2010 and 2011, according to the report. The organization’s total budget today is about $1.3 million. Environmental activists in Virginia and other parts of the United States argue that hydraulic fracturing to extract oil or natural gas is inherently dangerous and leads to water contamination, although scientific studies show otherwise. The fracking technique is applied to shale formations. Engineers inject water mixed with sand and chemicals into a well at high pressure, producing a fluid that fractures the rock and releases previously trapped oil or natural gas. The U.S. energy industry has used fracking for several decades. What’s new is the combination with precision directional drilling, allowing workers to drill horizontally. If approved, the Mountain Valley natural gas pipeline would originate in the northwestern part of West Virginia and run about 303 miles underground into southern Virginia. The Atlantic Coast project, which isn’t as far along in the approval process, would originate in West Virginia and run 600 miles underground across Virginia into North Carolina. “Regardless of where funding [for pipeline opponents] is coming from, it goes without saying that these energy projects will increase economic development and open up opportunities for Americans,” Katie Tubb, a policy analyst for energy and environmental issues at The Heritage Foundation, told The Daily Signal. Stiles said Russia also stands behind similar anti-fracking and anti-pipeline campaigns across America, a point also made in the House committee’s letter to the treasury secretary. Geopolitically, this is Putin’s Moscow attempting to thwart America’s efforts to gain energy independence and dominance and to help our allies to get from underneath Putin’s energy boot. This covert support for anti-franking and anti-pipeline groups is a form of espionage. These groups are agents of Moscow. If we export natural gas and coal to our allies, Russia can no longer blackmail the Western democracies. These ‘grassroots’ organizations are doing Putin’s bidding—they are colluding with Moscow, the Russian oligarchs, and Putin against America’s interests and our freedom. By design, there is little public information about the Sea Change Foundation because the organization “tries to hide its sources of money, as well as its contributions,” Stiles said. For example, the Energy Foundation, a public charity based in San Francisco that is the “largest recipient of grants” from Sea Change, doesn’t list it as a partner, according to the Senate staff report cited by Smith and Weber. Information about Sea Change is limited to IRS Form 990s and what Stiles describes as the group’s “sparsely worded website.” The fact that Sea Change doesn’t accept unsolicited proposals for funding suggests it strives to avoid scrutiny, the former CIA analyst said. The apparent subterfuge does not end there. Virginia Organizing’s website identifies both Preserve Montgomery County and Friends of Nelson County as partners, and the anti-pipeline groups reciprocate on their websites. Stiles notes that would-be donors can’t contribute directly to the anti-pipeline groups. Instead, their websites direct visitors to send checks to Virginia Organizing, here and here. “I find it interesting that Preserve Montgomery County—which is supposed to be a local grassroots organization—can set up a Blacksburg P.O. box, but not open a checking account at the bank here to support this local effort,” Stiles said. We received money from Sea Change almost a decade ago to support our efforts to inform people about climate science. The foundation no longer supports us, and our record as a grassroots organization needs neither quotes nor embellishment. The Daily Signal also invited leadership of the Sea Change Foundation to comment on funding linking it with the Russian government, as noted in the congressional documents, but did not receive a response by publication deadline. The Sea Change Foundation did, however, respond to the House committee’s letter to Mnuchin in comments to reporter Matthew Sheffield for a story published by Salon. In an email to Sheffield, Sea Change acknowledged receiving $23 million in grants from Klein Ltd. in the 2010 -2011 period. However, Sea Change said those millions represented “general support” and were not specifically required to be used as part of an anti-fracking campaign. Friends of Nelson County, which opposes the Atlantic Coast Pipeline, did not respond to The Daily Signal’s requests for comment. In response to The Daily Signal’s inquiries to Preserve Montgomery County, which opposes the Mountain Valley Pipeline, someone identifying himself or herself as the group’s treasurer said in an email that the group doesn’t receive direct support from the Sea Change Foundation. Yes, we are partnered with Virginia Organizing. But all of the funds in our account with Virginia Organizing have come from local individual donations and local fundraising. We have received no funds from other organizations affiliated with Virginia Organizing. I am not the official spokesperson for the group, but will pass your questions on to others. The Daily Signal received no further comment from Preserve Montgomery County as of publication deadline. Two anti-pipelines groups in Virginia, whether they realize it or not, “are working against American energy independence … and for Putin’s effort to maintain Russia’s energy leverage,” CIA veteran Ken Stiles says. Do they know that? Probably not, so they are probably a manipulated source. But make no mistake. Both groups are working against American energy independence [or] dominance and for Putin’s effort to maintain Russia’s energy leverage. What about Virginia Organizing, which processes donations to the two local groups in the state? The Senate staff report low-balled the amount of money Virginia Organizing has received from the shadowy Sea Change Foundation, based on the $2 million in donations documented by the Capital Research Center. “We need to raise awareness about the local fallout and the geopolitical ramifications,” the retired CIA officer said. Providing more energy choices to both producers and consumers will generate jobs, expand the economy, and provide important geopolitical benefits to the rest of the world by increasing global energy supplies and reducing the ability of any one nation or organization to use its control of energy resources for strategic purposes. Through exports to our allies in Europe and elsewhere in world, those countries will no longer be reliant on Moscow or the Middle East. 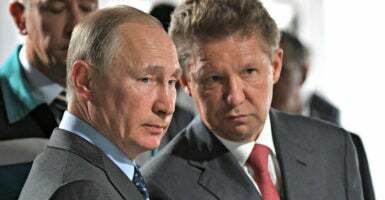 This will prevent Moscow from being able to force its will on Europe by using oil and natural gas as a blackmail tool, should Warsaw or Kyiv undertake some political action which Putin dislikes. With the downturn in energy prices, due to America’s increased production, Russia’s income from oil and gas has declined. This adversely affects Moscow’s ability to pay for its military expansion into the Middle East and its combat role in Syria, as well as its support to Iran and other anti-U.S. nations. Thus, just as Reagan forced the collapse of the Soviet Union with the arms race of the 1980s, we can topple Putin’s expansion dreams by collapsing the energy market. Editor’s note: Kevin Mooney has done work for the Capital Research Center, an organization whose work is cited in this article.